A total of 22 jobs have been lost at Loop Print in Sheffield, following... .. .. The Printed Film Co has completed a seven-figure project for Crossrail in... ..
One of Drytac’s speciality products has been described as “well worth the... .. 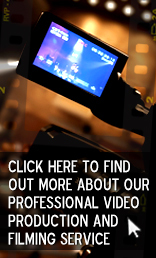 LED light pockets manufacturer Mid West Displays has announced it will be... .. 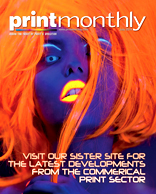 Following the recent launch of the China show in January 2019, FESPA has... .. . Exclusive distributor for Mimaki in the UK and Ireland, Hybrid Services,... .. .
Tamworth-based print company KEP Print Group is the first UK print firm to... . Global, a media and entertainment group that owns Capital FM, Heart and... .. ..
HP reseller Papergraphics has delivered the first HP R2000 in the UK... .. ... ..
Avery Dennison has appointed Sam O’Keefe as vice-president of research and... .
AOPEN has launched the world’s first commercial-grade Chromebox that can... .. . 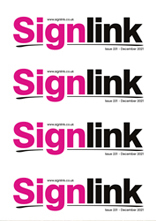 In a time of change, the sign industry is holding its own, but not without difficulty.... .. ..
Vinyl Effects... .. ... ..
Vinyl has so many uses – especially in the sign-making business. 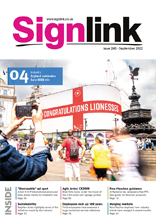 Summer Brooks talks to... .. .
Sign and Digital UK... .
With this year’s edition of Sign and Digital UK just around the corner, Rob Fletcher... .. ... .
Lamination ... .. ... ... .
Lamination allows sign-makers to not only protect work, but give their signs that extra... .. . When completing any sign job, various environmental factors must be taken into... .. ... ... ... .
Retail Signage... .. ... .
CNC Routers... .. ... ... .
With a wide range of CNC routers on the market, how can sign-makers avoid under- or... .. ... ..
As competition in the wide-format print sector continues to heat up, Rob Fletcher looks... .. .
Gizmos and Gadgets ... . The sign-making arena has long been home to a world of handy tools. Summer Brooks finds... .. .
With digital technology present everywhere in our lives now, Jo Golding finds out how LED... .